Is PrizeRebel a Scam? Read 3 Reviews! If you have some time on your hands, taking surveys for virtual points might be a way to collect prizes and earn some extra cash. PrizeRebel.com is yet another online site that uses surveys, videos and tasks (click on to gain points) for collecting advertising and marketing information. So is there anything different here? 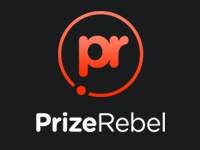 PrizeRebel is a site where players take surveys, videos and complete other tasks to earn virtual points that can be traded into gift cards and cash credit cards. Basically, you are participating in paid online surveys. This is collecting marketing and advertising information for companies. Signing up is straightforward by either linking into your Facebook address or using your email address. You decide which surveys, though there is no information on how many virtual points you earn per survey. The main limitation on who can participate seems to be based on age. You must be 18 years or older or you’ve got parental permission if you are between 13 and 17 years old. There is also the rule that you can only create one account per person and per household. Plus, you can only participate in surveys for countries that you reside. What Are the Prizes Offered by PrizeRebel? Players can win gift cards or direct cash paid to Visa or PayPal, or Bitcoins by taking a survey. Gift cards include Bed Bath & Beyond, Athleta, Starbucks, iTunes, Amazon.com and Target – to name a few. The range of prizes seems to be from around $2 to $50. There is no real information on the site who PrizeRebel.com is. They say it was launched in 2007 in San Diego, California. In their terms and conditions, it does say that anything legal will be governed by the laws of the State of California. But there is no other information on who they are. The terms and conditions are pretty weak simply setting out the conditions of membership and legal protection stuff for PrizeRebel. There is no information on opting out or how you get paid. 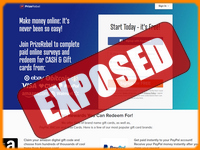 Reading from other sites and comments from players, it seems something that is different is that you do get credited your gift card or cash card within 24 hours of sending the request. There was nothing on their site that said this. I guess it might be information you receive once you register. Surfing around reading about complaints, the only one that seems to be repeated is the fact that there are some pre-qualification questions prior to taking a survey where you might be advised you do not qualify. This all takes time and could be frustrating if you continually don’t get to the next step. There are also some recommendations to use a standalone email address for this site as you probably will start receiving advertising and other offers. The only way to contact these folks is through their online form. There is no other contact information. Is PrizeRebel.com Scam or Legit? This is a legitimate site that uses players to collect marketing and advertising information. The feedback on sites says they do pay and pay quite quickly. If you have time on your hands and want to make a bit of money or get gift cards for shopping, there is no reason to not play here. But keep in mind you are getting virtual points for prizes that is using your time. You also have to qualify for each survey and there is an inference based on the type of gift cards that could be focused on the being a resident of the United States. This site gets a thumbs up though again, keep in mind most surveys have pre-qualification questions which means you could spend time and still might not qualify. You also will be spending time taking surveys, looking at videos and answering questions. I promote prize Rebel I tested it myself and found out it works very good I promote it because it’s a free way of making money and it helps a lot of people to make extra money there are multiple ways of making money with it and you can make it in your own spare time the more you do the more they give you. I so far find your surveys, samplicio, live sample, and tap research and a few more. Since using this site I have learned what does not credit and what does. Prize Rebel tells me that I will earn points by completing surveys until I hit the ‘thank you‘ page. Well, I spent over an hour on surveys and got to the last page where there was no thank you. Just a statement that there are no more surveys for me today. Prize Rebel says that it will take up to 30 minutes to receive my points. I checked back the next day and they have me NOTHING! So I wasted all that time for nothing. Total BS! I even tried signing up for some things for points. Again, NOTHING!!! I’ve been cheated and can’t stand it anymore! !